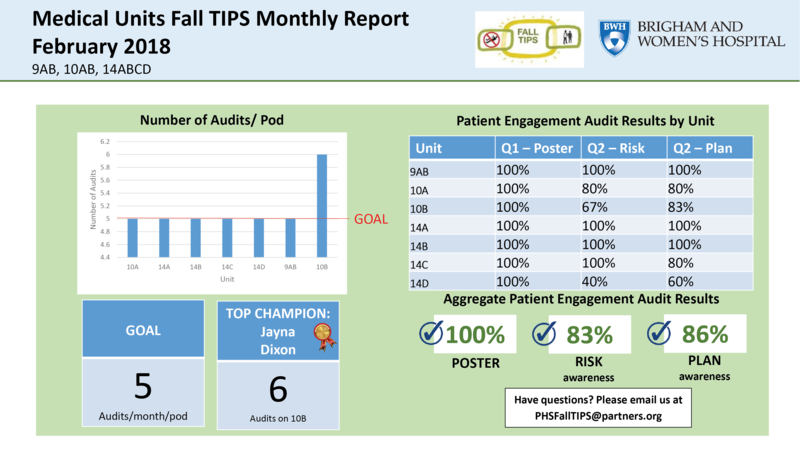 After implementation, it’s critical that you have a steady stream of communication with Nurse Directors, Fall TIPS Champions, and Unit Staff to make sure Fall TIPS is being effectively sustained. For ongoing program success, it’s important that everyone know how they’re doing, and that they feel ownership in the outcome. 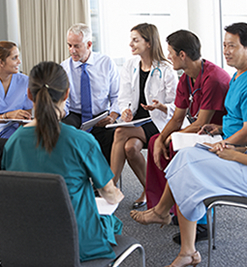 Speak monthly with hospital staff involved with Fall TIPS about barriers, and collaborate together to identify workarounds. 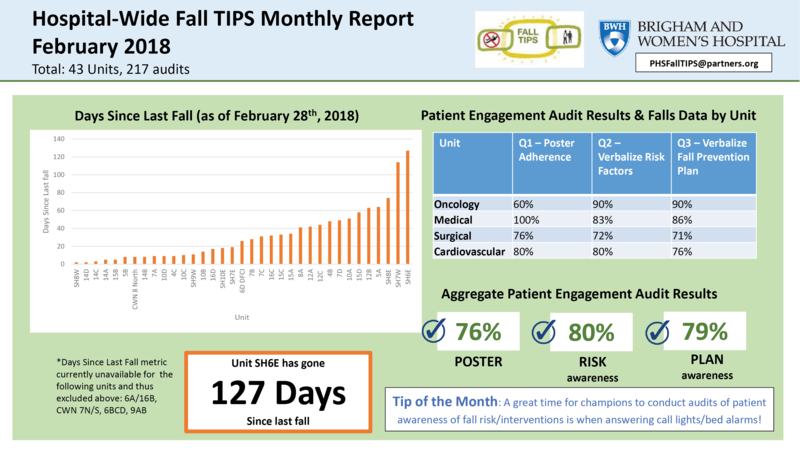 Unlike the common practice of providing hospital-wide data on a quarterly basis, Fall TIPS allows individual units to see their progress on a monthly basis. The Fall TIPS reports typically include percent compliance with the 3 Fall TIPS Audit Questions and comparisons to other hospital units and services. Provide feedback to your unit about their particular metrics – such as how “fall” rates and “fall with injury” rates have changed since Fall TIPS implementation, or how many days it’s been since the last fall on the unit. Encourage nursing staff to celebrate their positive changes and talk about improvements that can still be made. Fall TIPS has been implemented successfully across the Partners Health Care system and other hospitals throughout the nation. We have found that it is important to periodically remind the staff of the evidence behind Fall TIPS and why it is being used at their institution. One strategy for refreshing staff knowledge of the Fall TIPS rationale is to pair the re-education with when the Fall TIPS Champions are discussing the monthly reports. Another strategy is to integrate this information into the Peer Feedback component of the Fall TIPS audits.